When most people think of jobs in the cannabis industry, their minds immediately turn to the stoner hanging out at the dispensary selling weed. That image couldn’t be further from the truth! There are many professional opportunities for jobs in the cannabis industry and helpful hint- now we call it Cannabis! There are all kinds of jobs available now that it’s grown into a multi-billion dollar industry and is set to keep growing for the next several years. If you’re having a hard time finding a job, the cannabis industry is where it’s at. Read on to learn about the top jobs in the cannabis industry and how to can be gainfully employed in one of the top industries around. Being a budtender is a choice job for many. You get to talk about cannabis all day and help advise the patient on the various available products that could alleviate some of their symptoms like anxiety, depression, and pain. 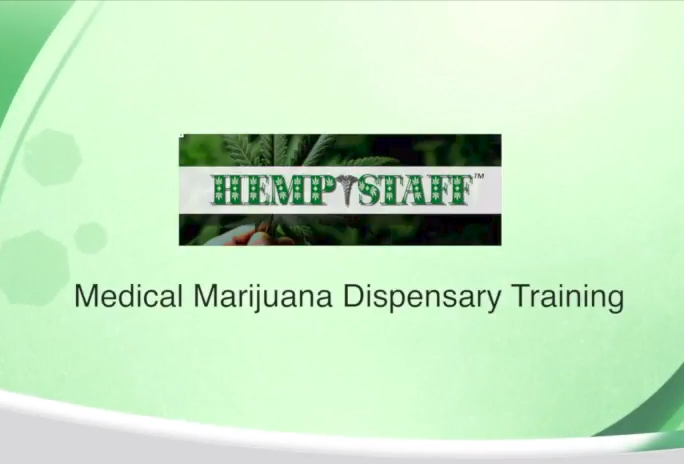 HempStaff offers Budtender Training, for those who would like to learn more on how to get interviews, speak intelligently and land that cannabis job! Ever dreamed about becoming your own boss? If so, then dispensary ownership might be the right path for you. Like any business, though, there is no easy path to a successful dispensary. You have to know a little bit about everything to make it work. Plus have a substantial amount of cash to invest in licensing, rent, employees and product. You need to know how to market your business, lease the right location, and recruit cannabis employees. You also have to know about budgeting, finances, projecting sales, and cash flow. You have to be an expert in state and federal laws to navigate the complex world of running a cannabis company, or hire someone that is an expert. Have you ever felt called to work with your hands in the dirt? If you have, you may want to consider being a marijuana cultivator. Entry level employees will become skilled growers by watching and learning under the masters for several years. While it may seem simple, growing cannabis is complex. Today’s growing techniques, diverse mediums and enormous cultivation warehouses are all state of the art and not for the novice grower. 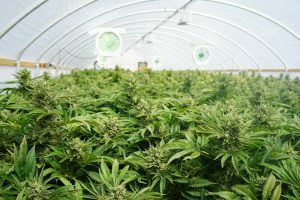 Master Growers must not only manage at least 10,000 square feet of flowering rooms, the must also be able to manage a team of employees as well as navigate the state inspectors and law enforcement. Master Growers are experts in growing cannabis to get the most yield at the highest quality. Only the best products survive in this competitive marketplace. With expertise comes top pay. How much does a Master Grower make? Master growers can command as much as $150,000 a year if they’re among the best growers. Is cannabis recreationally legal where you live? Do you know all of the top dispensaries and places to go in your town? If you answered yes to both of those questions, then you’d make a great tour guide. Cannabis tourism is projected to be the next big thing as more locales are opening up to recreational or adult use cannabis. As a tour guide, your job is to take both locals and marijuana tourists to the top spots in your area and give them an unforgettable experience. An entry-level job like a cannabis trimmer is a great way to get your foot in the door in the cannabis industry. You may know that you love the industry but aren’t ready to commit to a career path yet. Being a marijuana trimmer will expose you to the cultivation centers. Some states will hire temporary workers to do their trimming, while others utilize their entry level site workers for trimming, exposing them to all areas of the grow. The pay is relatively low, but you have the opportunity to explore different options that can lead to a great career in cannabis. Marketing is a necessary and sought-after skill in the cannabis industry. As more states legalize and advertising restrictions are lessoned, , marketing staff will be needed to sell these product liness. If you are currently a marketing directorr a corporate entity, laterally moving into the cannabis industry should be very similar. These positions would include overseeing the brand and the strategic direction of the company. If strategy isn’t your thing, then you can use your skills to create conversations and interest on social media. You could become an SEO expert or even an influencer, which would be a huge help to dispensaries who want to be at the top of search results. Wait, a security guard in the cannabis industry? Yes, many dispensaries employ security guards for the safety of the employees and the patients. With the current financial regulations, the cannabis industry is mainly a cash industry and appears extremely lucrative to the common thief. Having a physical security guard on site, increases the feeling of security and lessons the percentage of that property being targeted. Now, with all the video and audio security features each property has, dispensary robberies are at an all-time low. Additionally, in some shops, security guards are used to transport cannabis products from growers to dispensaries. As a growing industry, there are many cannabis trade publications reporting about the latest trends, products, and news around cannabis. Cannabis news is topping many of our social media pages these days, each one being written mainly by a cannabis enthusiast. Being a cannabis writer is the type of cannabis job that can be achieved with our without journalist experiences as several of the new publication are giving inexperienced writers an opportunity to work in the cannabis industry based more on their passion then their experiences. Creative content and well-written article will get you noticed. In addition, many enthusiasts have started writing and selling blogs and using their own social media pages to become industry influencers. The cannabis industry is primed to explode into a massive industry. That means that there’s no longer just a few types of jobs in the cannabis industry. There’s a wide range of jobs for people of almost any background or experience. Are you ready to begin your career in cannabis? Check out our dispensary training dates to get started.